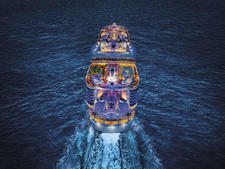 Mention art auctions at sea and you'll likely get an earful from repeat cruisers. Some people love them for the chance to sip free Champagne and enjoy a fun pastime that they wouldn't normally seek out on land. Others consider the auctions a waste of time with easels of art that "clutter" an otherwise useful lounge and they might even tell you that art auctions are a "scam" and the art is "fake." The truth lies somewhere in between all the hyperbole. If you're curious about art auctions, why some lines are moving away from them, and the art appreciation and art-making opportunities replacing them, here's everything you need to know about art at sea. What Are Onboard Art Auctions? Onboard art auctions are usually offered by cruise lines in partnership with land-based galleries like Park West Gallery, the company that dominates this marketplace. Events generally start with a series of art enrichment lectures and cocktail/art-viewing parties led by the art auction staff. This gives travelers a chance to preview the art, ask questions before an auction or just learn a bit more about art in general. The auctions themselves have a partylike atmosphere with free-flowing Champagne and sometimes the chance to win a piece of art. If you go into the auction loving the artist's work, understand what's actually for sale (limited edition prints, lithographs, animation cells or original work) and you're willing to pay the price you bid, an auction can be a fun shopping experience. Auctions typically feature works by a range of artists from the masters of the Renaissance (like Rembrandt) to contemporary luminaries. According to Park West's executive vice president Stoney Goldstein, "The vast majority of these works [at Park West auctions] are either paintings or limited-edition works." 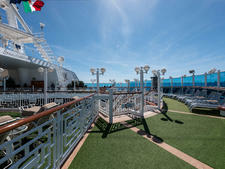 Beyond paintings, cruisers will find serigraphs, lithographs, etchings, woodcuts and engravings. On many ships, you'll see work from the likes of Picasso, Dali, Erte, Chagall, Escher, Goya and Kinkade. Works by current pop artists like Peter Max and Romero Britto are also featured in addition to animation cells from studios like Disney, Warner Bros., Hanna-Barbera and Metro Goldwyn Mayer. On ships that offer art auctions, Park West Gallery still has a stronghold, with a presence aboard Celebrity Cruises, Norwegian Cruise Line, MSC Cruises, Princess Cruises and Royal Caribbean. Why have art auctions been shrouded in controversy, leading passengers and cruise lines to lose interest? The answer is lawsuits, which have been brought against several galleries doing business at sea, including Park West. The most serious of the suits allege the sale of inauthentic art and inflated appraisals. For example, Lisa Cornell of Weston, Florida, purchased art on a Princess Cruise in 2007 but alleged that the works she received after the voyage were different pieces. She canceled the order and sued for $585. 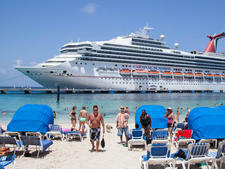 Carnival Corp., parent to Princess, ended up blacklisting Cornell from all its cruise lines. Cornell had to go to court again to contest the blacklisting and, in 2017, the lifetime ban was overturned. Beyond the lawsuits, passengers who have purchased art on various ships have complained of long delays in delivery of the art, especially in the case of West End Gallery; art arriving in the wrong, or damaged, frame; and shill or phantom bidding during the actual auction. Many auction winners later determined that they overpaid for their artwork, but that's not entirely the gallery's fault, as it's the responsibility of the buyer to determine the market value of a piece of art. These complaints and lawsuits have made other cruisers wary of the entire art auction business and are, in part, why some cruise lines have canceled their auction programs in favor of art enrichment programs and/or art for sale. Ten years ago, almost every major cruise ship offered auctions, but they have fallen out of favor with many lines, including Regent Seven Seas Cruises, Windstar Cruises and Oceania Cruises. 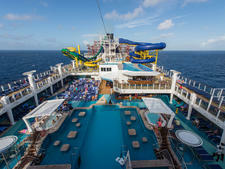 Instead, cruise lines have curated some compelling art-related activities and enrichment opportunities. Art galleries: Some cruise lines feature onboard galleries, where artworks are for sale at listed prices, rather than sold at auction. Disney Cruise Line's Vista Art Gallery offers everything from inexpensive posters to one-of-a-kind paintings and lithographs, animation cells and other types of reproductions. In 2018, Holland America Line began a new partnership with London-based ArtLink to offer onboard galleries showcasing works from emerging artists from the line's ports of call. Expect to find varied media on display such as drawings and paintings, photographs, sculptures and crafts. An ArtLink concierge and art specialist host lectures and cocktail parties, with the occasional visiting artist onboard to represent her or his work. 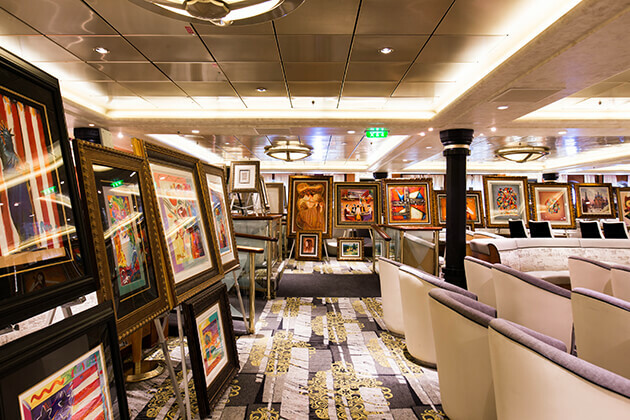 Onboard art tours: Many cruise lines have impressive art collections, and several offer tours so passengers can learn more about the works. Silversea generally has an art group leader onboard who takes passengers on a tour of the ship's artworks and also accompanies passengers ashore on some tours. 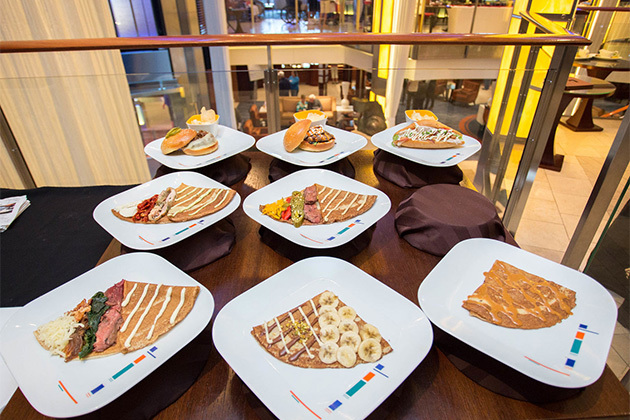 Both Celebrity Cruises -- with 14,000 works of art across its Solstice-class ships alone -- and Holland America, with its Gallery Walk, offer self-guided digital tours using MP3 players and/or iPads. Viking Ocean Cruises organically infuses Nordic art throughout its fleet, and passengers can download an app that provides a self-guided tour of the art throughout the ship. Enrichment programs: Like other cruise lines that stage guest lectures, Regent Seven Seas regularly brings aboard art experts to talk about art throughout the cruise. Sometimes the lecturer will also accompany passengers on art-related excursions. Trips ashore range from visits to museums and private art collections to significant houses of worship and architectural monuments. For a voyage Down Under, for example, the line invited New South Wales artist Karen Brown to speak with cruisers about contemporary Australian and indigenous art. Meet an artist/make some art: Many lines aren't satisfied to present art statically. They want their cruisers to interactively experience it and maybe even create some art of their own. Celebrity Cruises partners with Hollywood Hot Glass to offer glassblowing demonstrations at The Lawn Club and 20-minute hot glass classes on select ships. Passengers have the option of transforming molten glass into one of eight different projects, such as a bowl or vase. Oceania Cruises approaches art enrichment in a similar way -- especially aboard Marina and Riviera, both of which feature artists-in-residence at the Artist Loft. Well-known artisans, from painters and photographers to crafters, occupy this onboard enrichment center and offer master classes to interested cruisers. On Holland America's Westerdam, Rijksmuseum at Sea is a lounge and studio space. Reproductions of artwork curated by the Dutch museum grace the space and, on select voyages, passengers can work with instructors at drawing tables to create their own art. 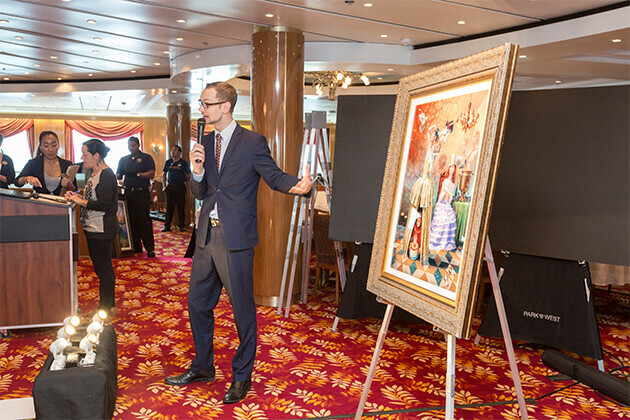 Art auctions at sea, despite being less popular than they once were, are still a well-worn method for buying art onboard some ships, as well as being fun and informative. If you think you might want to begin an art collection and plan to acquire your first piece at sea, due diligence is up to you. Arm yourself with as much information as you can before embarkation. Here are some strategies to help you out. Research categories of artwork and artists: If you're a newbie to the art world, familiarize yourself with the categories of artwork that you can purchase. Original works of art are hand-signed by the artists. Limited editions, which are technically original works of art since the artist typically oversees the replication process, are hand-signed by the artist and numbered. Limited editions that are created after an artist's death are often less valuable, especially if no one authorized from the artist's estate oversees the process. Poster art is mass produced using lesser-quality reproduction methods and without the involvement of the artist; it generally has no investment value. Check authenticity: The pieces available at auction on the high seas are purported to be original works and limited editions from the artists as advertised. Auction houses will provide a Certificate of Authenticity (COA) for each piece in their inventory. The COA should describe the work in detail. Review the document to determine what entity authenticated the work. For example, Claude Picasso and Maya Widmaier Picasso are the definitive word on the authenticity of any piece by Pablo Picasso. Here's where controversy rears its head since many believe that a vast majority of COAs aren't worth the paper they are printed on. The artist or publisher, in the case of limited editions, should sign the Certificate of Authenticity. The artist's agent, a respected art expert or an established dealer may also sign the COA. Your familiarity with the art world and the signers on the COA will help you determine if the certificate is actually worthwhile. Appraisals are another point of contention. If you're on a cruise ship, it's not likely that you can get a third-party appraisal of a piece of art. The gallery will tell you what they have appraised the piece for, but you should consider that number with a grain of salt -- especially if you're not familiar with the artist and what his or her pieces have sold for in the past. Go online to do some research or call a gallery back home for advice. Prepare against buyer's remorse: If you're the type who has experienced buyer's remorse in the past or are worried that you might regret your purchase, do yourself a favor and explore the auction house's return/exchange policy. Can you live with it? Many of the complaints against art galleries at sea involve the return policy. You set the art's value: If you're new to the art world, you should not view pieces purchased at sea as an investment. Don't get caught up in how much you could make if you resell the work. Buy only what you want to display in your house. When purchasing art onboard, expect to pay a mark-up between 50 to 100 percent. Ask yourself, "Do I love this work of art for this price?" If you say "yes," then the piece is worth that amount of money. But if you just like the art, consider whether you'd be equally happy buying an inexpensive poster version online. Cruise Critic member Helen, an attorney in Orange Country, California who has purchased art while sailing with Royal Caribbean, said she buys whatever catches her eye and will be a nice reminder of the trip. Her advice? "Buy what speaks to you and is in your budget. There are no bargains here, just emotional attachments." Cruise Critic member Nitemare sums it up nicely: "With everything else in life, you have to decide for yourself: Is this worth it?" she posts. "And if you think it's worth it, buy it."